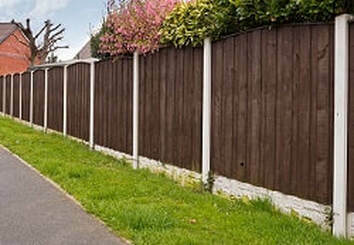 Panel and closeboard fences are very popular across the UK. Aside from being affordable, both the former and latter offer unparallelled levels of privacy and security. In addition to that, they’re highly customisable and can get built according to one’s aesthetic preferences. Moreover, people can grow numerous species of plants on and around them. Once that’s done, gardens often attain a look which is light and warming. While fences may get built straight on soil, it’s far better to first construct a gravel board. The main reason why is because they greatly help reduce the cost of maintenance by slowing down the rate at which your fence will naturally degrade because of nature’s course. Furthermore, gravel boards also even out the ground’s surface and ensure that no gaps exist between your fence and the soil or grass beneath. Oftentimes, they also make your outdoor space look cleaner as wooden boards always eventually rot and become unsightly. All that is regardless of whether the wood is treated and regularly checked upon for any signs of decay. In addition to getting gravel boards, you might also want to consider erecting concrete posts for your fence. After all, it would be a waste to opt for wooden posts over gravel boards since they defeat the purpose of keeping maintenance to a low as they’re not as durable. Besides that, concrete posts also often always look better when they’re built alongside gravel boards. As a matter of fact, one may say that they complete a garden’s overall neat aesthetic. Of course, you always have the option to have wooden posts constructed as they give off a rustic vibe. However, it’s essential to first make a plan on how to get things done to avoid having to spend large amounts of money on upkeep alone. Fortunately, our experienced teammates at Birmingham Fence Contractors may assist you with everything regarding the matter. We can aid you through a step by step basis from simple conceptualisation to the actual construction and installation of your fence along with its posts, boards, and gates. In any case, you can discuss the matter with us personally by simply dialling our number. When that’s done, a representative of ours is going to answer all of your questions and help you find the best way to approach your project without unnecessarily having to spend exorbitant amounts of money. Please don’t hesitate to contact us if ever you wish to employ our services. You may do so by filling up the form on this website or simply calling us at 0121 405 1202. In any case, expect a speedy response from us as nothing is more important to us than a client’s patronage. Nothing would be better for us than to establish a strong and lasting relationship as it’s great for our business and the good reputation that we’ve strived to establish over the course of many years of operating within Birmingham and the nearby localities which surround it.